Pressure points: massage chairs are programmed to affect specific pressure points like the back region. If this happens and gets to the extreme, it may lead to premature labor or make the water break leading to bleeding. Instead of putting the life and that of the baby at risk, the best option will be to have a qualified pregnancy massage therapist to attend to you. He will know where to touch and where not to. Heating pad: A massage chair that has a heating pad may negatively affect the unborn child. The heating pad will make the heart of the unborn child beat abnormally fast and this may cause cardiovascular disorders. A pregnant woman should avoid any massage item that has a heating pad, including a belt. Vibration: Though the vibration in a massage chair is not a cause for concern as it is just like walking, it should not be taken to the extreme. The longest period a pregnant woman should be on a massage chair is twenty minutes. Electromagnetic radiation: A massage chair uses electric power and may emit some radiations. 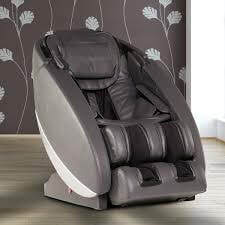 Though the radiations emitted are quite low, you should not stay for too long on the massage chair. Pregnancy stage: In the first trimester, a pregnant woman should keep off a massage chair as there is a high risk of miscarriage. If you must use a massage chair, wait until the first trimester is over. To stay safe, a pregnant woman will be on a safer side if he is massaged by a qualified pregnancy massage therapist. She will know the parts of the body to massage and those that are better left untouched. With such measures in place, you will be assured that both you and the unborn baby are safe. Get a good massage spa that offers pregnancy massage; it may be pricey but the safety of your unborn child is worth every penny that you will pay for the massage.